Author: Min, Anchee Set In . . .
“Admirers of Empress Orchid will be interested in this sequel. Others may find the introduction to relatively modern Chinese history a revelation” (Rocky Mountain News). 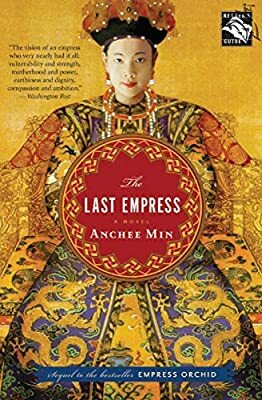 During the tumultuous end of the nineteenth century in China, the only constant was the power wielded by one person: the resilient, ever-resourceful Tzu Hsi, Lady Yehonala—or Empress Orchid—as readers came to know her in Anchee Min’s critically acclaimed novel covering the first part of her life. In The Last Empress, Orchid moves from the intimacy of the concubine quarters into the spotlight of the world stage. Devastating personal losses take their toll, leaving her yearning to step aside, but only she—allied with the progressives, but loyal to the conservative Manchu clan of her dynasty—can hold the nation’s rival factions together. Anchee Min offers a powerful revisionist portrait based on extensive research of one of the most important figures in Chinese history. Viciously maligned by the western press of the time as the “Dragon Lady,” a manipulative, blood-thirsty woman who held onto power at all costs, the woman Min gives us is a compelling, very human leader who assumed power reluctantly, and who sacrificed all she had to protect those she loved and an empire that was doomed to die.